Terrific Investment Opportunity in Waikiki! Parking, Full kitchen, built in Murphy bed and quality upgrades which include additional sound insulation to walls, windows and entry door. 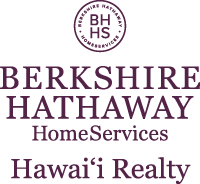 First time home buyer, investment property or your Pied-a-terre to enjoy the convenience of Waikiki. Well kept building with security and covered parking. I am interested in 2442 Tusitala Street UNIT 219, Honolul, HI 96815. Sign up for Inside AccessTM to view recent sales near 2442 Tusitala Street UNIT 219.